1. Independent Reading This is the most important one! They do need to read daily, and it should be books at their level. My students browse for books from our classroom library, and keep books in book bags for independent reading time. I also let them relax with pillows. I try to make Independent Reading the best part of the day... it should be! 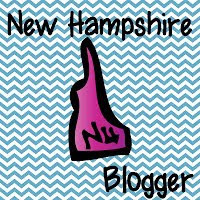 See this post for more about my Independent Reading: Relax and Read! 2. 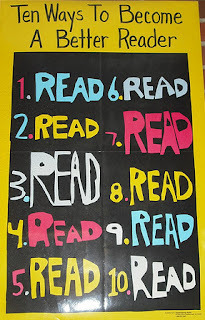 Reading Response There are so many ways for children to respond to reading. They can draw a picture of characters, write about connections, or perhaps do a variety of reading response activities that are out there! 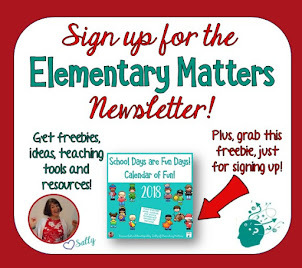 Check out Teachers Pay Teachers or Pinterest... you'll find a ton of ideas, much of it is free! 3. Read With a Partner This is very motivational for the children, and I sometimes use it instead of Independent Reading. They do love anything social! 4. Independent Writing We do have Writer's Workshop nearly every day, but some of the children really love some time to get some writing done during reading group time. Since writing is usually at the very end of the day, they tend to be more productive when they get a slot of time for writing in the morning. It's a win - win! 5. Word Work This is an opportunity to work those phonics skills! 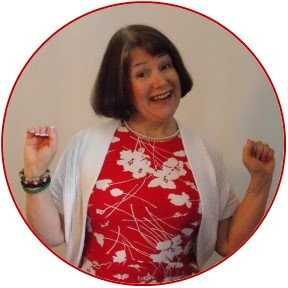 I tend to keep my word work connected to skills and patterns that we are working on in the reading program, but many of my students also need lots of review on short and long vowels, rhyming words, word families, and, of course, sight words. There are plenty of resources out there, or make your own! My students love to use their whiteboards, letter tiles, and manipulatives for their word work. 6. Literacy Games Literacy games can include word work, comprehension skills, grammar practice, developing vocabulary or any combination of these. Again, adding that social component motivates the children. Games are such a great opportunity to practice skills, and they keep the children engaged and happy! 7. Task Cards Task cards can practice work work, comprehension skills, grammar skills, thinking skills, or even social studies or science! You can make your own or use task card you've found. 8. 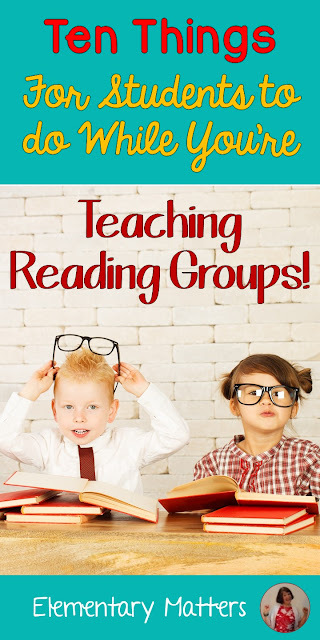 Read with a Teacher Assistant or Parent Volunteer I do have a few little ones with very short attention spans or just need a little more guidance. 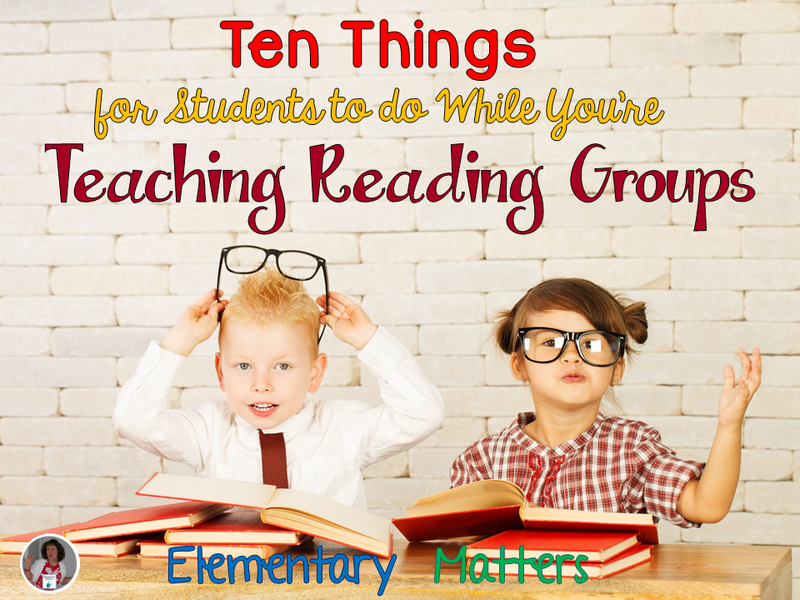 These children really benefit from reading with an adult. The adults are encouraged to stop and chat about the story and encourage understanding as well as enjoyment. 9. Practice Handwriting Skills Sometimes they just have to focus on making the letters touch the lines in the right places! We are lucky enough to have Handwriting workbooks, but any paper will do! They can even practice handwriting skills on whiteboards or chalkboards. 10. Practice Spelling Words The children love practicing their words with a partner on their white boards. They look out for each other, and the whiteboards are very forgiving. For other spelling ideas, see this resource: Spelling Task Cards. 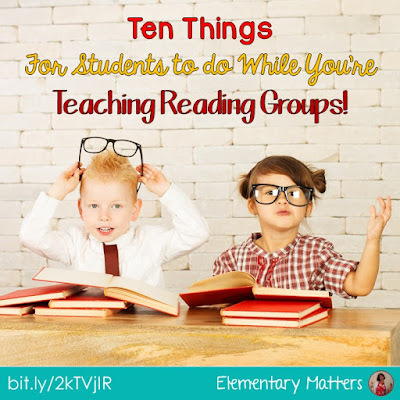 What do your students do while you're teaching reading groups? Thanks for posting this! I don't currently do guided reading but my district is finally and slowly moving in that direction! I love my guided reading groups! What a great list. Can I add #11? "Don't ask me what you can do. If it's not on this list the answer is No." Good idea! I know some kids who just can't take no for an answer! We do Daily 5. It keeps everyone engaged and on task. 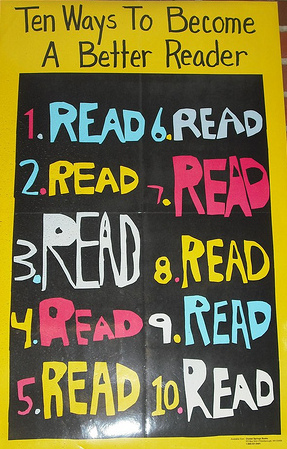 I love the "Read Poster." I'd love to do Daily 5, I've read wonderful things about it! This is a great post! It feels good to know that I do most of the things on this list! My students play SpellingCity on our interactive whiteboard. Also, for handwriting practice, they use the handwriting worksheets on SpellingCity and annotate over the desktop.